Once, the guilt of having inadvertently let the night magic into the city—and of having killed her onetime best friend—had threatened to destroy her. But now she's been Nightstruck, and all her grief and guilt and terror have been swept away—along with her conscience. So what if she's lost her friends, her family, and her home? And so what if her hot new boyfriend is super-controlling and downright malevolent? Mesmerized by the power and freedom of not having to care about anyone but herself, Becket is sinking ever deeper into the night magic's grasp. But those who love her refuse to give up on her—even if she's given up on them. 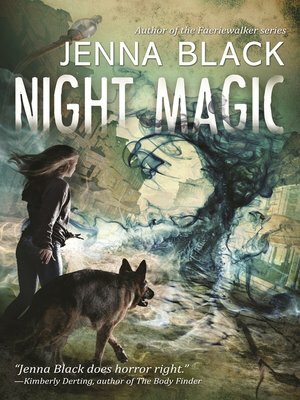 If they can't find a way to help Becket break the night magic's hold, the entire city might soon find itself shrouded in perpetual night. But the last thing Becket wants is to be "rescued" from her brand new life, and she will fight tooth and claw to stay exactly where she is.